🏠 » » Amplify WiFi, antennas, adapters, repeaters and Router » What is a WiFi adapter, how are the WiFi USB adapters with WiFi antennas and which ones to buy? 3. How to install a new WiFi USB adapter to a computer. Four. The operation of a USB WiFi adapter. 5. Installation of WiFi Adapter Drivers. 6 USB extension cables for WiFi adapters. 7 How to choose the best USB WiFi adapter. Connecting a computer to the internet via WiFi is for many reasons essential. In the same way that people have a need to communicate with other people, both near and far, computers also need to communicate in a network. Thanks to the technologies developed in the last decade, connecting our personal computer or laptop is increasingly simple and above all every time with faster connections. No doubt the first WiFi connections were unstable and a little slow, but nowadays the WiFi connection has become the preferred method thanks to the high quality of recently developed WiFi adapters. 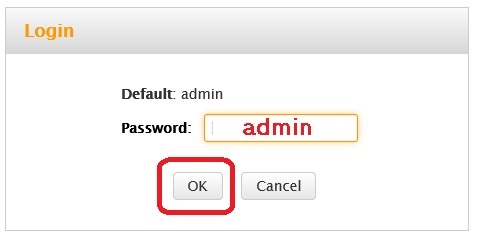 Connecting your computer to the internet via WiFi is a very easy process. First of all we must have a WiFi router connected to an internet provider system through our supplier company. The WiFi wireless network always starts with a broadband modem capable of communicating with the Internet service provider (ISP) to which we pay for our internet access. In most cases the modem has a built-in wireless router that transmits the WiFi signal. If this is not the case, we can connect any WiFi neutral router through a LAN cable, and this router will work as a WiFi (AP) access point. Then on our computer we will need to install a device that works as a WiFi client. 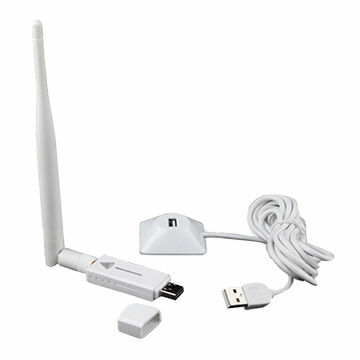 The wifi adapter for desktop PC is one of our favorite devices to receive internet by WIFI at high speed and work without problems on your PC or laptop, surfing the internet through WIFI at lightning speed. All WiFi adapters have a work mode that is called “WiFi Client”. In relation to WiFi networks, a “Client” is any device that connects to a network, such as your computer. A client can be our PC or also a printer or a wireless speaker. 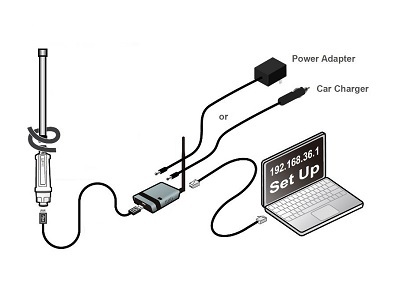 When a router or a USB adapter works in this way, it is in “client mode”. The different WiFi product manufacturers use different names to refer to the same job, such as: “client mode”, “WDS client”, “Client station”, “AP client mode”, “Wireless client mode” and “STA mode”. When you need to configure any of these modes, remember that they are the same as the “client mode”. All WiFi client devices that connect to the network (for example, your workstation, tablet and smartphone) need to have wireless radios integrated and enabled to transmit and receive data through the network. If your computer does not have a wireless adapter at the factory, you can install an external device that performs this function. It is normal for laptops, laptop or Netbook to have an integrated WiFi device, but of low quality since it does not carry an external antenna, PCs are usually sold without any type of WiFI installed. Because the USB connection is the most used for peripheral devices, most users choose this type of connection to install the Wi-Fi clients they need. It is WiFi adapter attached is an example of client device that allows the computer to communicate wirelessly with the WiFi router. Integrated WiFi adapter: Numerous devices such as laptops, tablets or mobile phones have an internal WiFi adapter at the factory. It is very convenient to use especially in small devices, but the main disadvantage is that it can not be updated, limiting the ability to enjoy the most advanced WiFi standards. 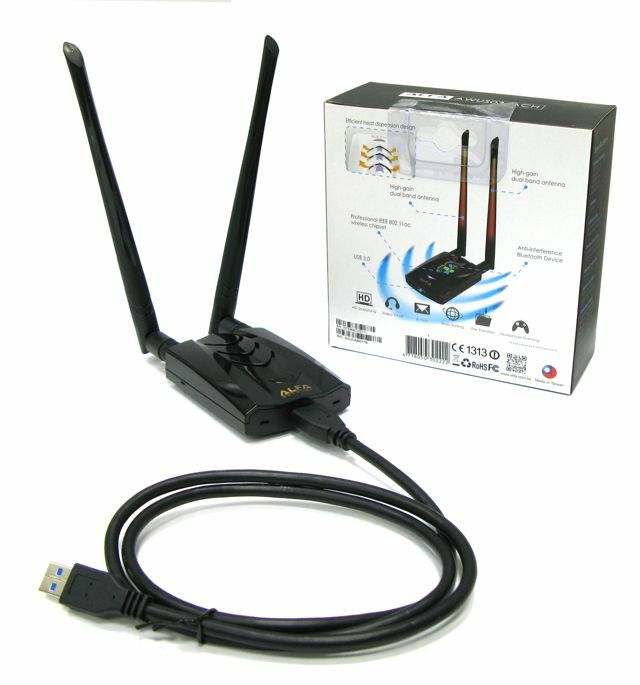 In addition, the internal WiFI antennas do not receive the remote signals well. 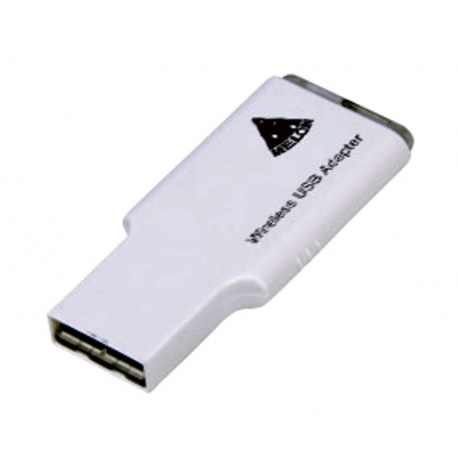 WiFi USB adapter: The USB WiFi adapters are the easiest to install and use. The only necessary requirement is to have an available USB port. In most cases these work best if they are connected to the rear USB ports of the PC, since they usually have more electric power to power the powerful WiFi antennas. 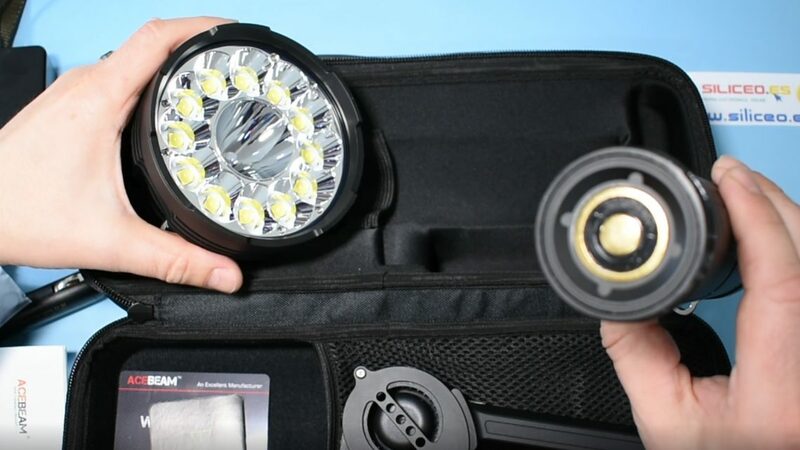 If you do not have rear ports, you can install a USB port multiplier or HUB. PCIe WiFi Adapters: PCIe which means Peripheral Component Interconnect Express is the most used port for WiFi cards. The compatible cards adapt to the slots of the motherboard of your PC and require access to the internal components of the system. They often have antennas that protrude through the back of the card in order to maximize the range. 802.11ac is the current Wi-Fi standard, this standard uses a dual-band operation mode. It uses both the 2.4 GHz band (such as 802.11b and 802.11g) and the 5 GHz band (such as 802.11n). The next standard will be, 802.11ad, and it is planned to incorporate a third frequency of 60 GHz, and designed for an even higher bandwidth over short distances. Both the new 802.11ac WiFi system and the current 802.11n standard allow teams to make quality connections. At the moment the equipment that uses WiFi N of 2.4Ghz still obtains an acceptable yield with 802.11n, but if you need to use WiFi in the center of a city very saturated of interferences or a transmission of video is necessary to speeds superiors to 300Mbps, then the Recommendation is to use WiFi AC. Note that adding the performance of the 2.4 GHz and 5 GHz bands gives you the equivalent nomenclature. For example, N600 is precisely the sum of 300 and 300. However, the maths are not so clean for AC1200 since 300 and 867 give us a sum of 1176. This is rounded off to a nice even AC1200, which is easier to remember. 802.11ac introduces other innovations and advances to WiFi. as they are the dedicated bandwidth of 5GHz. While the 5GHz range is typically less than 2.4GHz, the 5GHz band is significantly less congested and faster – two benefits that make it worthwhile to use. While the 802.11n channel link exceeds 40MHz, 802.11ac offers this at 80 and even 160MHz. Remember that the link is the method by which a single 20MHz channel can be combined with other channels to create a WiFi highway to improve data transmission speeds. The fastest USB adapters are rated for AC1200 speeds, and are available at most manufacturers. 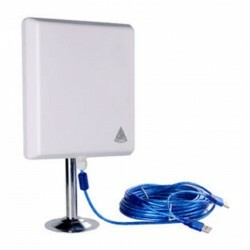 An example is the Antenna WIFI AC 1200 Alfa Network AWUS036AC that has a high gain antenna that moves up to increase the strength of the signal. This model reaches speeds of 300 Mb / s in 2.4GHz and 900 Mb / s in 5GHz. The dual-band AC technology in the AWUS036ACH supports selectable 2.4 GHz or 5 GHz wireless signals. This adapter allows you to make or receive phone calls over the Internet (VoIP), surf the Internet, transfer files and stream high definition (HD) content when connected to a 5ghz router. The AWUS036ACH supports high security encryption of both WPA and WPA2 that allows you to securely connect to a wireless network. 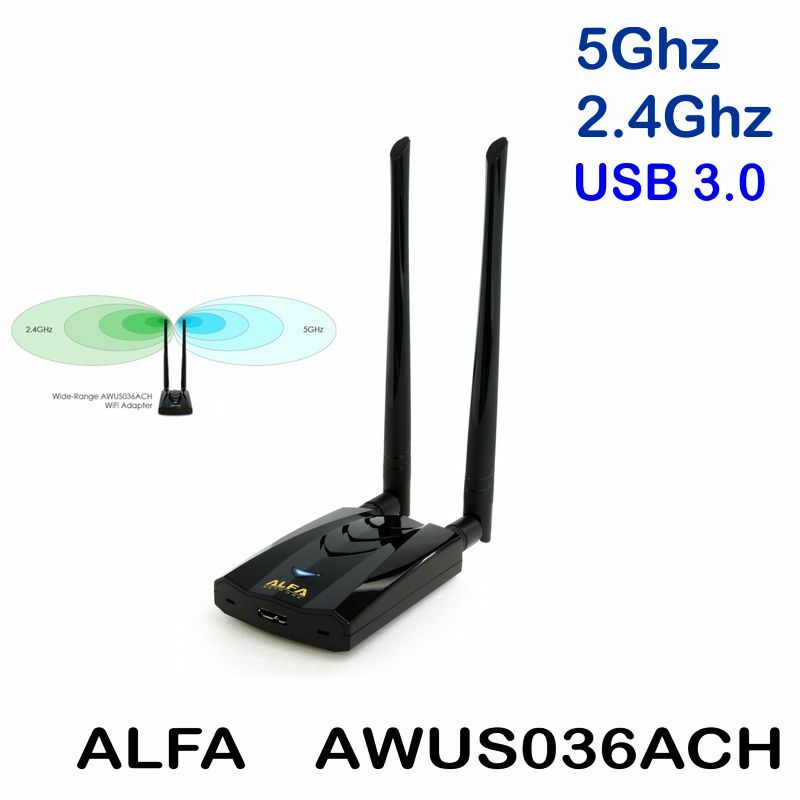 The new model of Alfa Network AWUS036ACH is a wifi adapter for desktop PC specially designed to have all the speed of your fiber optic internet available by WIFI on your PC transmitting from any USB port. If you pay a Movistar or Vodafone high speed fiber line of 300 MBPS or 500 Mbps, 100% of that speed will be available on your desktop PC or laptop with the AWUS036ACH. 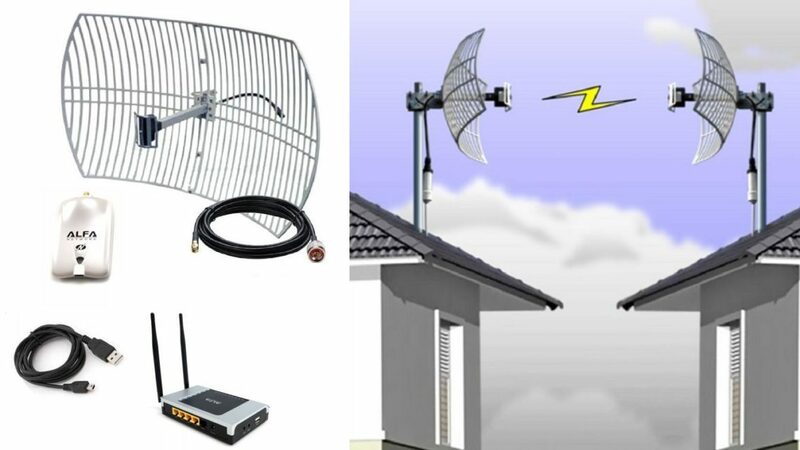 The Dual Band system allows you to check email and surf the Internet using the 2.4 GHz band and also stream HD movies and other media files with the 5 GHz band. The 5 GHz wireless band is the best technology available for the wireless transmission of HD videos over the network. The high speed of 1200MBps is achieved by operating in a new and free wireless band to avoid interference that can slow down previous wireless technologies such as 802.11n. If you want to get rid of the wires in your home, then you will be convinced of the need to use USB wireless network adapters on all computers or desktop computers. The installation is simple and does not usually give problems. Installing WiFi connection on a computer will allow you to connect to the Internet wirelessly and even repeat WiFi signal from your computer as a WiFi hotspot for your other devices (mobile, tablet, etc.). This is a simple and economical process. Buy the smallest or most suitable WiFi USB adapter that you can even carry with you, quickly adding WiFi to any desktop PC you find by connecting a small device to your USB port. The first step is to choose the best WiFi adapter. The best choice is always the one that takes into account the WiFi chip. 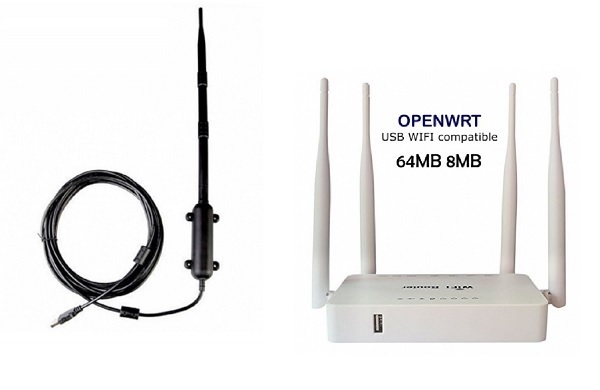 The different brands and models tell us about the quality of the product, but if we want to know if our WiFi adapter is compatible with an operating system, with a hard disk or with a satellite decoder, we should always look at what WiFi chip model the adapter carries . For example, a Siliceous Online Store search returns the results with photos and features of the best WiFi USB antennas of 2017. In addition, all the product’s chips include the WiFi chip of the adapter, these are the search links for the most used WiFi chip. 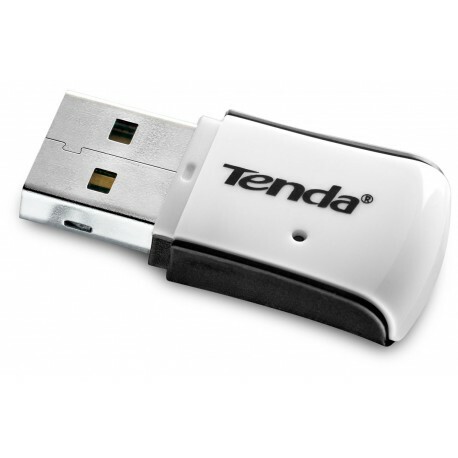 A USB Wi-Fi adapter incorporates a large amount of technology in a very compact device. 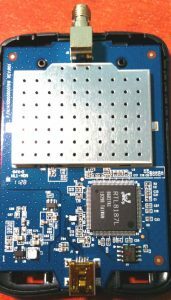 In this example of the WiFi adapter we can see that it has a USB connector welded on the vazul circuit board that houses the necessary electronics, in addition a large part of the adapter is covered by that great anti-interference shield. All electronics are incorporated in a plastic housing that connects to the back of our PC with the USB cable. On the opposite side, it has a RP-SMA type screw connector that allows direct connection of the WiFi antenna or a coaxial cable to extend the connection to the antenna site. 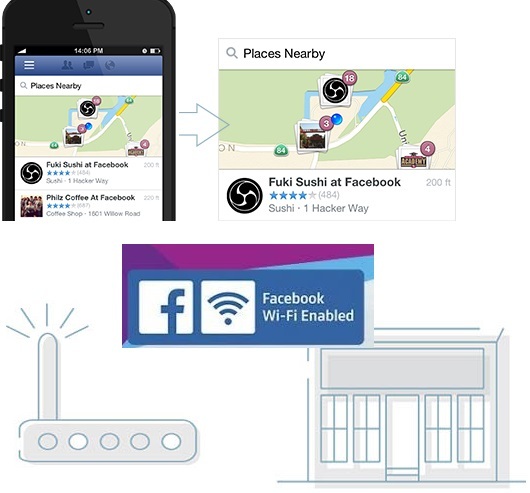 Wi-Fi adapters can be classified according to their antennas, which can be omnidirectional (transmission and reception in all directions equally) or directional (centering the entire transmission in only one direction). The strength of an antenna is expressed in decibels (dB) with respect to a standard antenna, because this reference antenna is isotropic, the metric is expressed as dBi, which means decibels in relation to the isotropic antenna. A differentiating factor of long-range USB adapters is the external WiFi antenna. In situations where the signal strength is less than optimal, either due to the location of the router, obstacles that interfere as walls, floors, and when there is interference a Wi-Fi adapter with an external antenna is essential. 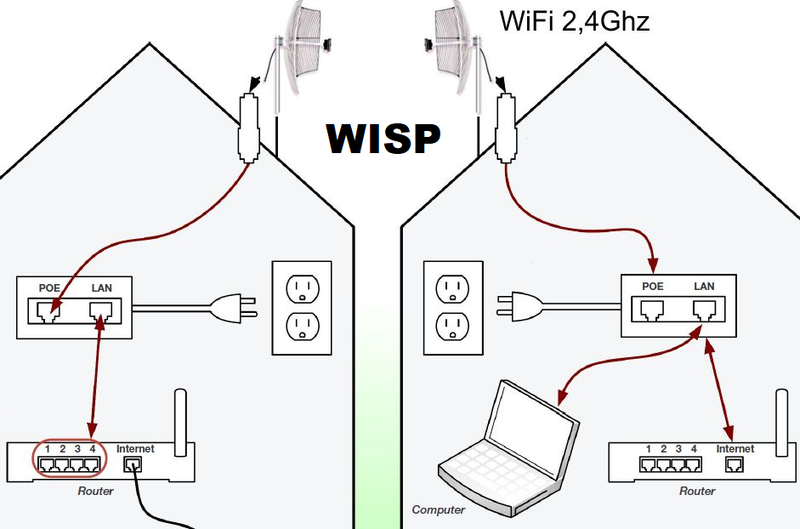 Also, in the situation where a 5 GHz signal is chosen for the Wi-Fi connection, but it is not strong, an adapter with an external antenna can make it usable. An adapter with an external antenna that is also directive and that can be positioned to optimize the strength of the signal is particularly ideal for these situations. While an adapter with an external antenna is ideal from the point of view of the strength of the signal, they also tend to be bulky and protrude from the USB port. While it is less of a problem with a PC, this can be a particular problem in laptops. In situations where the signal strength is strong, a smaller USB WiFi adapter with an internal antenna and a low profile becomes the preferred option. With the revolution of miniaturist trend electronics has emerged a class of USB WiFi adapters that can be described as “nano”, with the adapter only slightly larger than that of a USB port. When installing a nano WiFi adapter, keep in mind that a strong signal from a nearby router is needed. When you receive a new USB WiFi adapter at home you will need to install the appropriate driver for the operating system. You can do it from the CD of the box, but if you want to update the latest version it is best to go to the adapter manufacturer’s website and download the driver for that exact model and version. All WiFi USB adapters are a peripheral device, and as such require a software driver, or “driver” to function. Therefore, when you connect the adapter to a USB port, it does not always start automatically. Fortunately, most Wi-Fi adapters have a CD with the necessary software in the box. However, since an increasing number of laptops and desktops do not have CD-reading drives, it is best to always check the latest versions on the manufacturer’s website of the WiFi adapter chip. If you just installed the drivers for a wireless adapter and it does not seem to work, it is best to uninstall them, restart the computer and do the installation from the beginning. This time, however, pay attention to the functionality of the Windows 8 and Windows 10 operating systems to install software with compatibility for previous systems. For example, if our WiFi chip like the RTL3070 has a driver that is only updated until Windows 7, it means that it can work perfectly in Windows 10 if we use driver support for earlier versions of Windows in Windows 10. If we have the driver located in a folder of our hard disk or on the CD, with the right mouse button we click and see the properties of the software, then we select to install in compatibility mode for Windows 7 and that’s it. When the installation is finished, the WiFi chip will work perfectly in Windows 10. All the details in this driver installation guide for Windows 10. In the case of installing a WiFi USB adapter in a rear port of the PC, it often happens that the metal boxes that surround most desktops and the myriad of cables that supply power and data between the devices of a desktop slow the signal Wifi. To maximize WiFi signal strength it is normal to add a USB extension cable long enough to place the antenna above the table. Another option is to buy the new antennas Panel with built-in 10-meter USB cable. These USB adapters carry the board with the WiFi chip embedded inside the square panel antenna. In this way you can locate the antenna in the most appropriate position and transmit the entire signal through USB cable without loss of power. There are several aspects to keep in mind when choosing a USB WiFi adapter. The first is the maximum data rate of the adapter. In other words, for the user of an office with fiber optics at 1 Gb / s, an AC1200 adapter is the best option. But for the user with 20MBps or up to 100Mbps, any Wi-Fi USB N150 adapter will easily surpass the connection. In the case of all ADSL lines, a faster WiFi hardware is not necessary, since it can not be used to improve Internet performance. In general for technology enthusiasts who use their home networks for more than Web browsing, dual-band AC WiFi adapters can accelerate the transfer of files over the network only if the other network interfaces are up to par. challenge. In these cases a USB 3.0 port (as opposed to USB 2.0) is necessary because of its higher transfer rate. The next aspect is the need for an antenna, if your USB WiFi adapter is going to be used always in the same room as the router, with any compact adapter you should have enough signal strength. Many users decide to install small-sized WIFI adapters for convenience and ease of use. The WIFI receivers of the Nano WIFI Adapter type are very similar to a WIFI Pendrive, and are a great choice for daily suso at home with a laptop. 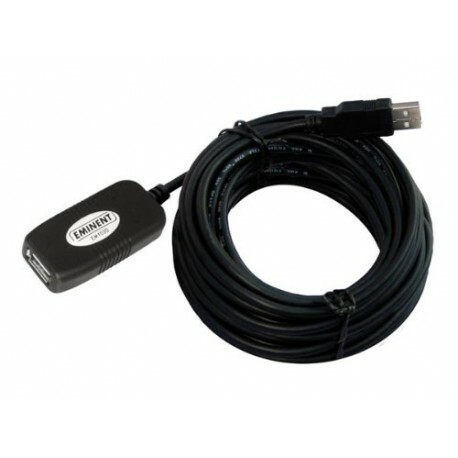 However, in cases where the USB WiFi adapter is used farther away, especially with walls or floors in the middel, a powerful USB WiFI adapter with directional antenna is necessary. In conclusion, the new WiFi USB adapters from Siliceous Online Store have all the advantages, including ease of installation, affordable prices and compliance with the latest standards. All this helps to make them a popular method to connect a computer wirelessly to the network. I hope this guide has been useful for you. If you have any questions about the subject, do not hesitate to ask through the contact form.